« Someone Else Makes Dinner For Me! Note to self: Self, when friends say they are sick, find out what kind of sick. End note. 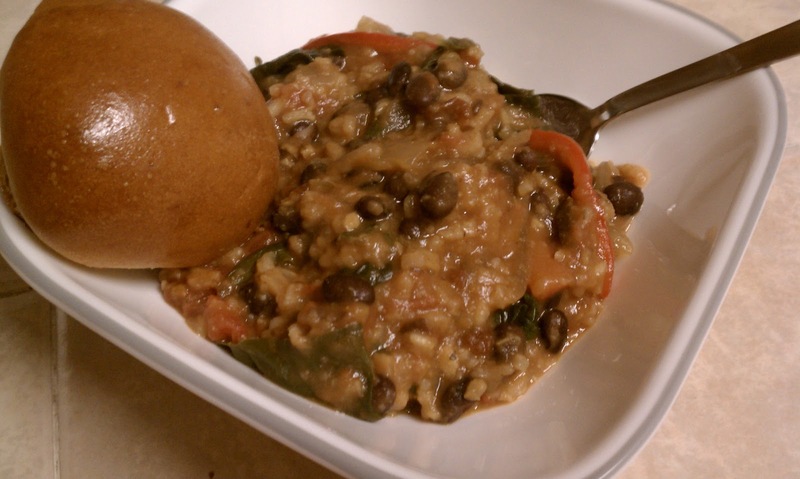 Telling me “I’m sick,” is like telling me “I haven’t eaten in years, please help.” (I will feed you. Like it’s my job. Because it sort of is. At least that’s what I tell myself.) So when the headmistress of The Donnybrook Writing Academy mentioned off-handedly that she was a bit under the weather, I gathered up some ingredients and went to town. You see, what I heard was, “I have a cold-flu-pneumonia-bronchitis sort of plague and would like to breathe again at some point in the near future.” So I went with spice, fire, and zest. What she meant was, “I don’t want to see food much less smell it or eat it so stay away from me Devil Woman.” So I ate it instead and let her starve it out. But it’s the thought that counts, right? Heat large pot with a well-fitting lid over medium heat. 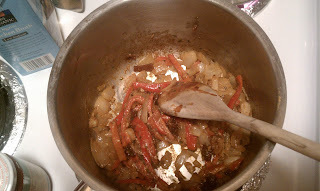 Add the olive oil and allow to cover the bottom of the pan. Add the onion, garlic, and spices, stirring together to mix well. 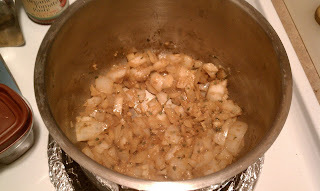 The spices will coat the onion pieces and embed the flavor deep within the soupy goodness. 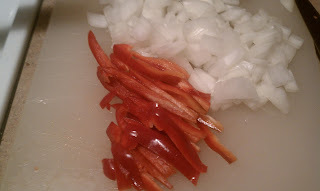 Sauté onion to translucency before adding the bell pepper and ancho chile pieces. Stir well to combine and saute for a few minutes until the peppers get tender. Add the tomato paste, black beans, 1 cup chicken broth, and the water to the pot. 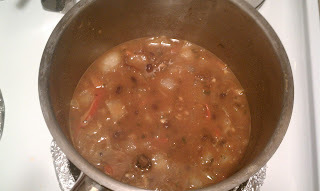 Stir it all up and then bring the mixture to a boil. Reduce heat to a simmer, add the rice and cover and simmer 20 minutes to cook the rice. Add the additional cup of chicken broth and stir. 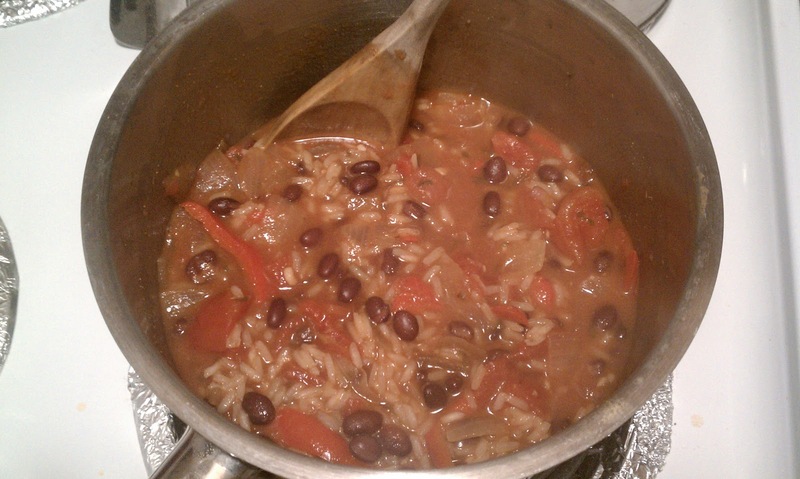 The rice will continue to soak up liquid. Add the spinach to the top of the pot but wait before stirring. 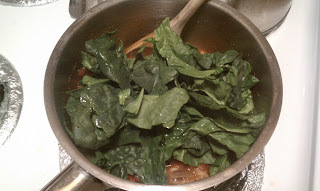 The heat from the pot will start wilting the spinach and cooking it down. 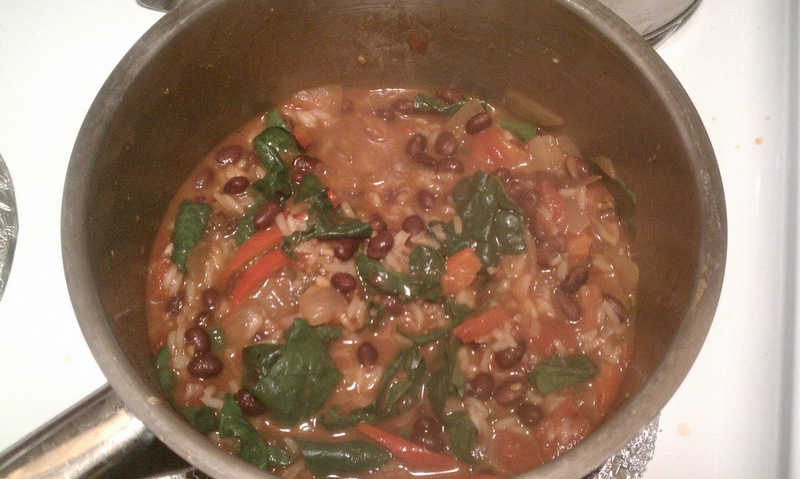 Give the pot a big hearty stir to combine all ingredients, then serve it! bell peppers, black beans, Donnybrook, leah charney, onions, peppers, spinach, stews/soups. Bookmark the permalink. Post a comment or leave a trackback: Trackback URL.